​rooms, designed with your comfort in mind. Attention to client comfort and detail is our main consideration. Whether its a pick-me-up or a total top-to-toe transformation, you are in the care of highly trained professionals, committed to bringing out the very best in you. Using warm oils, this massage is the ultimate way to relax and unwind. Massage helps relieve stress and muscular tension, improving circulation and lymph flow. A full-body treatment using a blend of oils and heated volcanic stones. The heat from the stones penetrates deeper into the muscles, ensuring a deeply relaxing experience for the body and mind. Bernie Hewitson joins the deVine team two days each week and specialises in therapeutic, sports, and post-injury/surgery-rehabilitation massage. The purpose of these treatments is not only to help eliminate pain and increase mobility by deep tissue massage, but to help and educate clients with simple exercises and stretching techniques for aching, sore muscles. Relax and enjoy a Sothys mini-facial, followed by a 30-minute back massage. Relax and unwind with a hot stone massage and Sothys seasonal facial. Raspberry and Jasmine body scrub exfoliates the skin, leaving your body feeling unbelievably smooth. The finishing touch: a luxurious massage using hydrating Raspberry and Jasmine body milk. Will a full-body exfoliation and scalp massage, this relaxing treatment will smooth, sooth and detox the body. The seaweed mask improves circulation, leaving the skin nourished and refined. 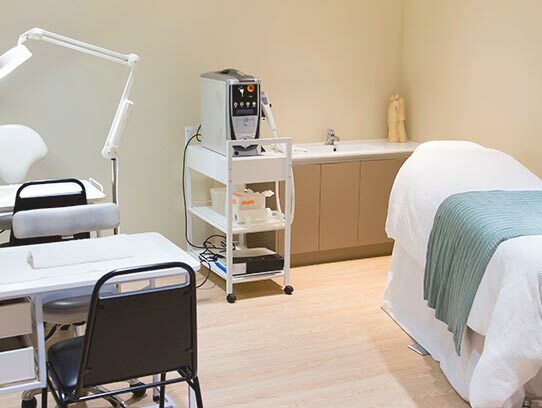 Consult with our beauty therapy experts to create the perfect treatment for you. 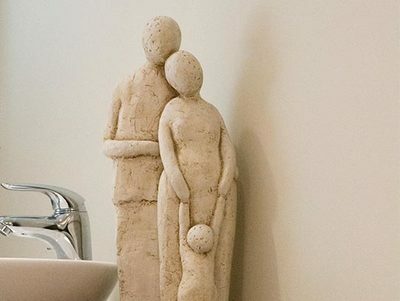 Relax and let us completely pamper you. ​Refreshments are provided with all pamper packages. ​We know that special effort is needed to maintain the look you love. Eyes are the first focal point of the face and colouring the eyelashes and eyebrows frame the eyes beautifully. Jane Iredale mineral makeup is known as "the skin care makeup". The range is weightless, contains no chemicals, dyes fillers or preservatives. It helps calm and smooth irritated skin and lets your skin breathe freely. Enhance your beauty for everyday or that special occasion. A deep, rich, honey-toned tan with a chocolate base that's dripping in the goodness of organic Argan oil and botanicals that nourish and hydrate the skin. We recommend that you exfoliate your body at least 24-hours before tanning, paying particular attention to knees, elbows and ankles. Do not apply moisturiser or deodorant and wear or bring darker coloured, loose clothing for after tan application. Sothys products are targeted towards a number of skin concerns and contain highly active ingredients to treat ageing, dehydration, pigmentation and oxygenation. The results are undeniable and a pleasure to receive. 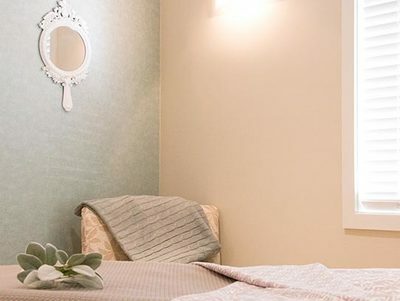 Our therapists are committed to identifying your skin care concerns and needs, ensuring you receive a treatment plan and appropriate home care advice to achieve the best results. To get the greatest outcome, we look at the history of your skin, nutrition, lifestyle and previous and current skin care. A treatment concept in harmony with the seasons will give your skin all the essential elements that it needs: radiance and tone for the spring and summer, comfort and nutrition for the autumn and winter. Delicious fragrances and an enveloping ambience guaranteed. Indulge in a moment of pampering and give your skin a new lease of life. This facial is designed for total relaxation while your skin is restored to its natural beauty. One hour and 15 minutes of targeted treatment to combat the signs of ageing. This ultra-sophisticated treatment combines ultra-targeted products with expert application methods, to protect the skin, preserve its beauty and visibly fight against the signs of ageing. Proven results. Environ treatments and home care are based on vitamins A, C and E and beta carotene. Research conducted in recent years reveals that climate depletes these vitamins and is the major cause of premature ageing of the skin. At deVine we offer treatments and home care to effectively minimise damage and repair skin. Hydrating and firming for all skin types, this advanced vitamin A and C formula stimulates collagen production; perfect for a relaxing facial whilst providing the nourishment your skin needs to look and feel amazing. This facial includes a take-home week's application of C-Quel serum for continual hydration. A gentle but deep cleanse and exfoliation for young, problem skin. This light, oil-free skin care is blended with tea tree extract specifically for skin balance; restoring the skin's natural barrier and refining skin texture, promoting that young, healthy glow. Peels are beneficial for photo-ageing, acne, pigmentation, dull or coarse skin and reducing the appearance of fine lines. Consultation with your therapist is necessary to determine the strength of peel. ​deVine's manicures and pedicures are the ultimate in indulgence in nail care. We specialise in CND & Spiritual Gold nail colours and use the latest machine from Germany for the ultimate in smooth, soft feet. A wonderfully refreshing pick-me-up for busy feet. Treatment includes an essential oil foot soak, foot scrub and smooth, nail shape, cuticle treatment and a luxurious massage using an enriched protein cream. To finish, your nails are painted the colour of your choice. Our pedicure tidy is ideal if you are short on time, but still need your nails to look great. It includes all cuticle work, clipping, filling and polish application..
For many years, paraffin wax has been used in the treatment of aching hands and feet, with strong benefits. Its softening and hydrating properties leave your skin silky and smooth. Thumb and finger pressure is used on reflex points on the feet, stimulating both energy flow to specific organs and structure in the body. Reflexology benefits the body as a whole and assists organ function. Spoil yourself with an intensive manicure to nourish and protect your hands and nails. After nail shaping and cuticle treatment, your hands will receive a gentle scrub and luxurious massage with an enriched protein cream. Select your preferred colour from our professional lacquer range to finish the treatment. Our manicure tidy is ideal if you are short on time. It includes all cuticle work, clipping, filling and polish application. Shellac by CND is the first hybrid nail colour and wears like a gel for long lasting shine. Thin and flexible, shellac provides strong nail protection with resists dullness and chipping. At deVine, our therapists use an efficient and hygienic disposable waxing system, ensuring our clients receive the best results. Would you like to book for two or more waxing services? Please ask about our waxing combination prices. A method of permanent hair removal using electrical currents to gradually weaken and eliminate unwanted hair. We use the latest technology and disposable needles with every treatment. Entirely natural. Your body cleverly rebuilds its own Collagen to repair imperfections without the need for surgery. Micro needling (using the award-winning Dermapen 4) is suitable for most skin types and concerns, especially for those looking for stronger, firmer skin, reduction of pigmentation and improved tone and scar revision. The best of science meets the best of nature. Sothys is unrivalled in the world of professional skincare and its international pedigree for formulating pioneering products and treatments extends almost 70 years. Sothys treatments and products are targeted towards a number of skin concerns including anti-acing, hydration, pigmentation and oxygenation. Environ's vision has always been to make the best skin care in the world, through a philosophy of well-researched, scientific skin care. Their products are effective, proven and cost-effective. 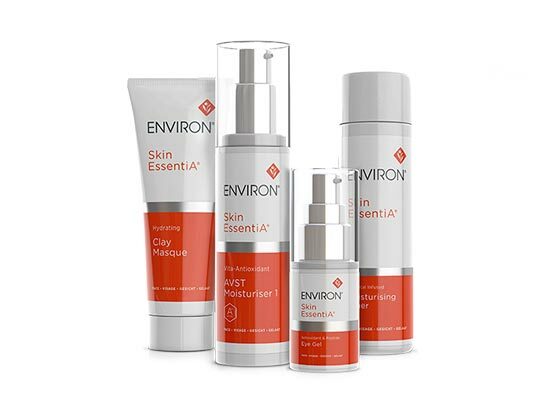 Environ values and performs extensive research and development to offer their consumers exceptional skin care products. 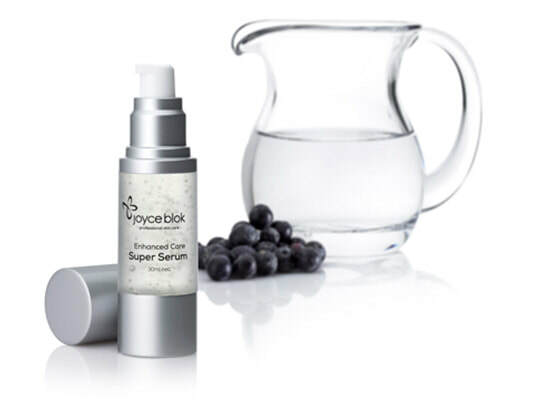 Combining the very best of science and nature, Joyce Blok Skin Care offers effective solutions for New Zealand complexions with their unique, locally-developed professional skin care range. Jane Iredale uses the highest quality ingredients available to ensure satisfaction with performance, coverage, application and texture. Their minerals conform to the most current technology available to ensure broad spectrum sun protection. Their attention to quality extends to the pharmaceutical-grade, often certified organic, vitamins and antioxidants used in their products. More than just a decadent skin solution, Ginger & Me encourages women (and the modern man) to take care of themselves and their sisters too. 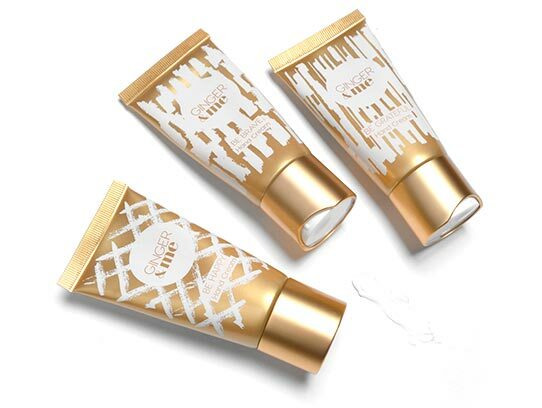 Ginger & Me products are nourishing, indulgent and luxurious and formed with 21st century technology and lifestyle in mind. Just as carefully selected as the ingredients in Ginger & Me, are the the nasties they left out. Check out their blacklist here. ​I always get my eyebrows done in between colouring my hair, and no matter who does it they look amazing! I love coming to deVine Hair and Beauty.